The FUFA Big League will resume with six matches played across the country on Thursday afternoon. In the Elgon Group, unbeaten Wakiso Giants will hope to continue their fine start to the 2018/19 season when they host Nebbi Central at the Kyabazinga Stadium in Bugembe. The Purple Sharks currently sit on top of the standings with 13 points accumulated from their first 7 games after winning three and drawing the other four. For Nebbi, the come into the game sitting fourth from bottom having won one, drawn four and lost one of their first six game. Wakiso who drew 0-0 away to Light SS in their last game, will be fancied to win the game but will not take the visitors for granted. “It is another game we task ourselves to win, says head coach Ibrahim Kirya. “When you are at home in this League, you want all three points and that is what we will try to do. “Despite their (Nebbi) league position, we will not take them lightly and we will approach with caution. With third placed Dove All Stars also in action away to Kyetume on the same day, Wakiso know that any slip-ups on Thursday may see them relinquish top spot in the standings. The other Elgon Group game will see 9th placed Bukedea Town Council host bottom of the pile, Entebbe at the Emokori Play Grounds. The biggest fixture of the day will take place at the StarTimes Stadium in Lugogo as Rwenzori Group leaders, Proline FC host high flying debutants-Kiboga. Coming into match day 9, these two clubs are still unbeaten with Proline leading the way on 19 points, two ahead of their Thursday afternoon visitors. The game will present a plat form for the test of character between the two respective technical benches as the first round takes the final bend. Both sides come to this match with a rich vein of form having also secured berths in the Uganda Cup round of 32. The other Rwenzori games on Thursday will see Ntinda United host Kabale Sharp at the Mutesa II Wankulukuku Stadium, Kireka United shall host Kansai Plascon at Mandela National Stadium, Namboole and Mark Twinamatisko’s Dove entertains Bumate at the Katushabe play-ground in Masindi. In the Elgon Group, Bukedea Town Council faces Allan Kabonge’s Entebbe at the Emokori play-ground. 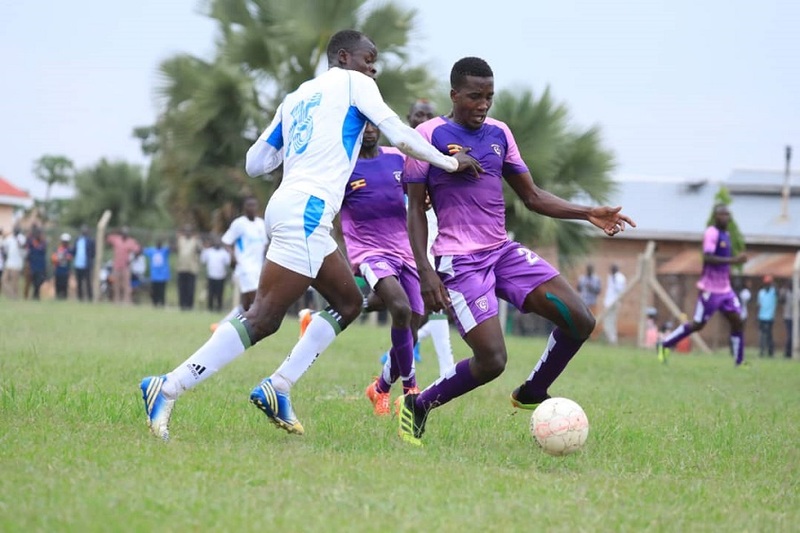 Ibrahim Kirya’s Wakiso Giants plays host to new comers Nebbi Central at the Kyabazinga Stadium, Bugembe (Jinja) and Alex Isabirye’s Kyetume will face Doves All Stars at the Bishops S.S Play-ground, Mukono. On Friday, 28th December 2019, there will be only one match when Jinja Municipal Council Hippos takes on Amuka Bright Stars at the Kakindu Stadium in Jinja.